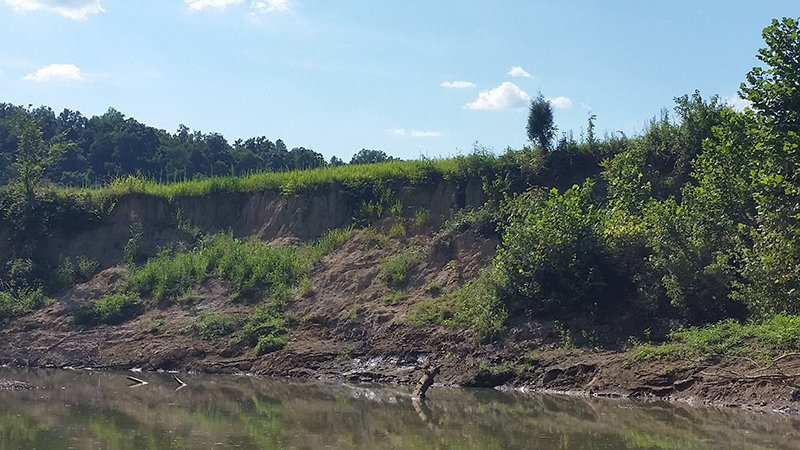 Purdue University has teamed up with four zoos to protect hellbenders. This effort is a worldwide collaboration as zoos, government agencies, and other conservation groups, implement much-needed conservation initiatives. 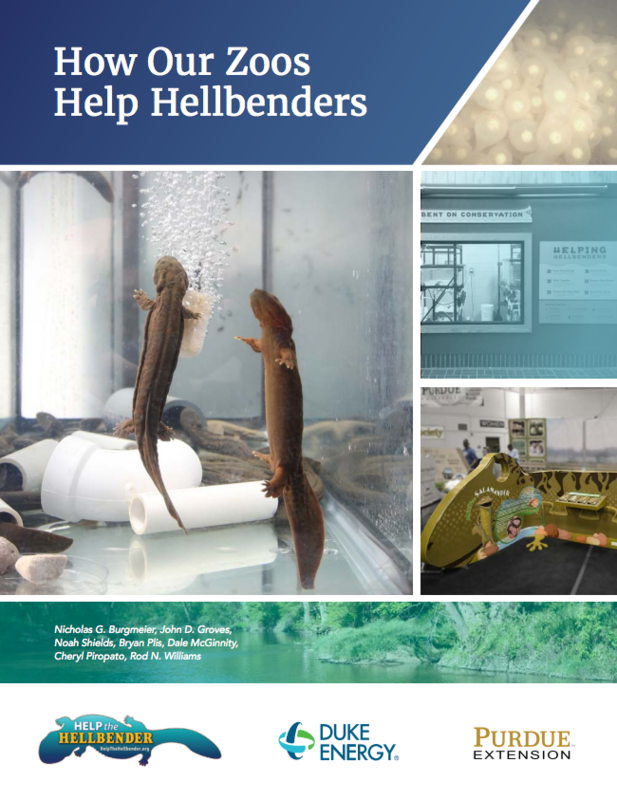 This recently published publication titled How Our Zoos Help Hellbenders shares the current zoos in Indiana that are collaborating with Purdue in this conservation effort. Zoos are conservation and research organizations that play critical roles both in protecting wildlife and their habitats and in educating the public. Thus, with hellbenders experiencing declines over the past several decades, teaming up with zoos in order to preserve and protect the hellbender species is ideal. The zoos that are currently partners with Purdue University in this effort are: Mesker Park Zoo in Evansville, Indiana; Columbian Park Zoo in Lafayette, Indiana; Fort Wayne Children’s Zoo in Fort Wayne, Indiana; and Nashville Zoo in Nashville, Tennessee. Three videos have been released showing how the zoos are working with Purdue University to help protect hellbenders. You can check them out below! Students in Forestry and Natural Resources (FNR) continue to volunteer for Hands of the Future, Inc., a non-profit program whose mission is to help educate children about the outdoors and natural resources. 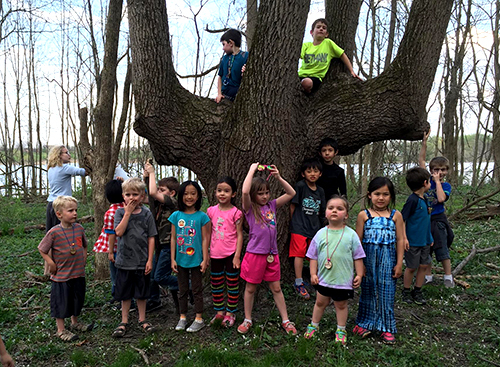 As this program continues to grow, one of their dreams has been to find woods to create a children’s forest. To have a natural site that has been embellished upon with children’s needs in mind and to encourage outdoor play and adventures. A children’s garden, equipped with a greenhouse and kitchen, th at’ll allow children to learn how to properly grow and cook food. An enclosed area dedicated to allowing children having fun and safe adventures. A viewing area for butterflies, birds and other organisms of the wild, allowing children to easily enjoy the life of the forest. A maze designed by sunflowers, where children can have fun and do problem-solving, while close to nature. A walk dedicated to viewing the owls and other organisms composing the forest. Another enclosed area of the woods for adventures; However, it’ll also contain tree houses, bridges and other fun additions for the children. Donations to help make Zonda’s Children’s Forest a reality can be made here. They have six months to raise $235,000 in order to purchase the woods. Older students and adults can apply to be a volunteer. Volunteers are always appreciated, no past experience necessary. 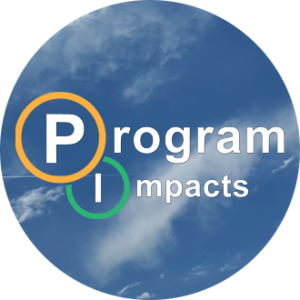 If you love nature and kids you will enjoy this program. Internships are available for college students, contact Zonda Bryant. Hands of the Future, Inc. 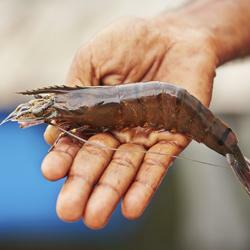 There continues to be significant interest in rearing marine shrimp in Indiana and the Midwest. 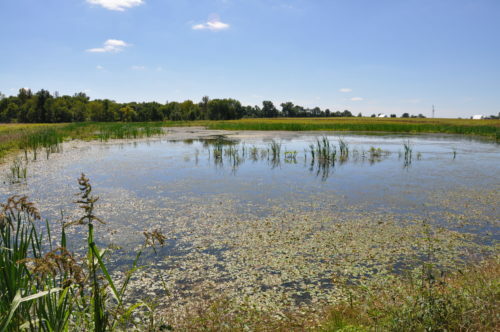 Two issues of interest to existing and potential producers are supply of shrimp larvae and information on Best Management Practices for rearing shrimp here in Indiana. 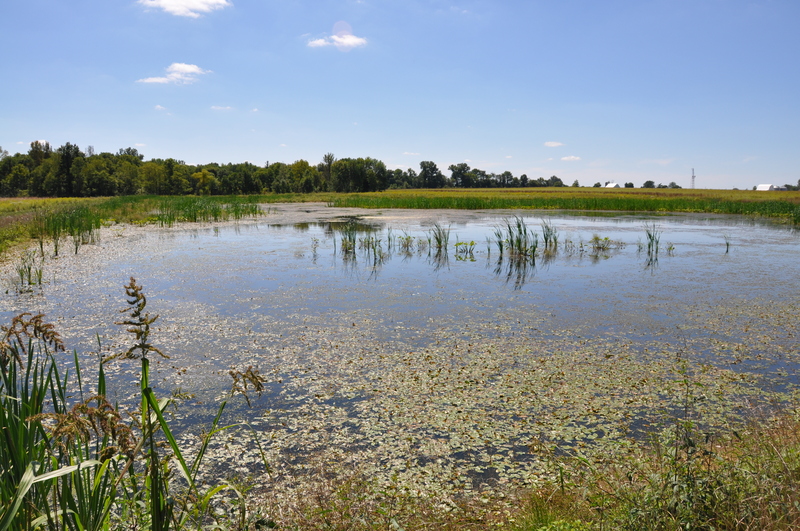 The Indiana Soybean Alliance sponsored a demonstration project to see whether shrimp larvae could be raised using commercial feedstuffs (Live feeds are traditionally used). The theory being producers would not have to rely on shipments of larvae from tropical regions with significant risks. By using commercial feedstuffs, the footprint of operations could be reduced. A one day meeting for producers is planned for February 10, 2016, bringing together shrimp rearing experts from Texas A & M and Kentucky State Universities along with Purdue experts in marketing, economics and environmental controls. 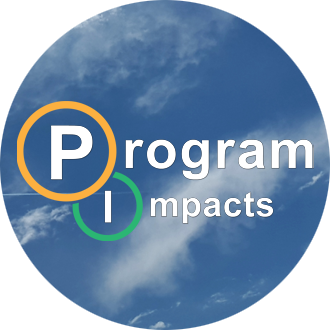 This program will encompass almost all phases of production through sales. Although the larval demonstration project was unsuccessful, with shrimp mortalities within one day of arrival, future research may be undertaken using different protocols by bringing in brood shrimp (parental stocks) instead of shrimp eggs. 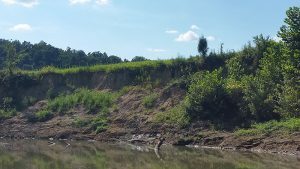 Once aquatic invasive species (AIS) are established in a new environment, typically, they are difficult or impossible to remove. Even if they are removed, their impacts are often irreversible. It is much more environmentally and economically sound to prevent the introduction of new AIS through thoughtful purchasing and proper care of organisms. Check out this article titled Aquatic Invasive Species – Organisms in Trade for a list of webinars bringing resources to teachers, water garden hobbyists, aquatic landscaping designers and to aquatic enthusiasts. The video titled Beauty Contained: Preventing Invasive Species from Escaping Water Gardens is also available in the article which contains guidelines that were adopted from the Pet Industry Joint Advisory Council and the Aquatic Nuisance Species Task Force along with addressing the care and selection of plants and animals for water gardens. Quagga mussels, which arrived in Lake Michigan in the 1990s via ballast water discharged from ships, have colonized vast expanses of the Lake Michigan bottom, reaching densities as high as roughly 35,000 quagga mussels per square meter. The invasive species that can have major economic impacts filters up to 4 liters of water per day, and so far seems unaffected by any means of population control. It is also a constant threat to other systems, as it is readily transported between water bodies. Researchers have long known that these voracious filter feeders impact water quality in the lake, but their influence on water movement had remained largely a mystery. For full article and video view Purdue Researchers Get to the Bottom of Another Quagga Mussel Impact. You’ve heard about all the traditional careers. But what about being an outdoor scientist? Introducing the world to The Familiar Faces Project which shares careers in fisheries, acquatic sciences, forestry, wildlife and sustainable biomaterials. This video will show by example what it’s like to be an outdoor scientist, walking you through a typical work day of Megan Gunn. For more information about The Familiar Faces Project, contact thefamiliarfacesproject@gmail.com. Question: Which salamander is this? Q uestion from Josh L Lady: Which salamander is this? The picture posted is one of our mole salamanders (family Amystomatidae). This common family name comes from their habit of staying underground and in burrows of other creatures, except when breeding. Species in this family can be difficult to tell apart at times. 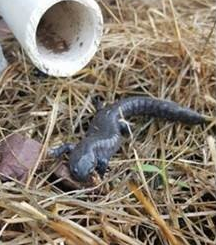 Adding to the confusion, there is a species called the Mole salamander (Ambystoma talpoideum) which in Indiana is only found in the extreme southwestern part of the state. The species below is likely a Small-mouthed Salamander (Ambystoma texanum). It can be found throughout Indiana except the extreme northwestern and southeastern portions of the state. The Small-mouthed Salamander is a moderate sized salamander characterized by its slender head and small mouth. Most individuals are dark gray to grayish brown with light gray speckles (often resembling lichen-like markings), particularly on the lower sides of the body. Adults usually reach 11-19 cm in length and have an average of 15 costal grooves (i.e., the “wrinkles” on the sides of the body; range 13-15). I say it is likely a Small-mouthed Salamander because they are nearly identical to in appearance to the Streamside Salamander (Ambystoma barbouri). There are minor differences in the teeth and premaxillary bones between the two species; however, these structures are not readily observable in the field. Geographic location and habitat type are the best ways to distinguish these two species. Streamside Salamanders are restricted to extreme southeastern Indiana, occupy hilly areas, and breed in streams. Small-mouthed Salamanders exist nearly statewide, occur in wooded floodplains, and breed in ephemeral wetlands. Salamanders of Indiana, The Education Store, Purdue Extension resource center. The eastern hellbender is a large, fully aquatic salamander that requires cool, well-oxygenated rivers and streams. Because they require high-quality water and habitat, they are thought to be indicators of healthy stream ecosystems. While individuals may live up to 29 years, possibly longer, many populations of this unique salamander are in decline across their geographic range. It is the largest salamander in North America, found in and around rivers and streams in 17 states from New York to Missouri. 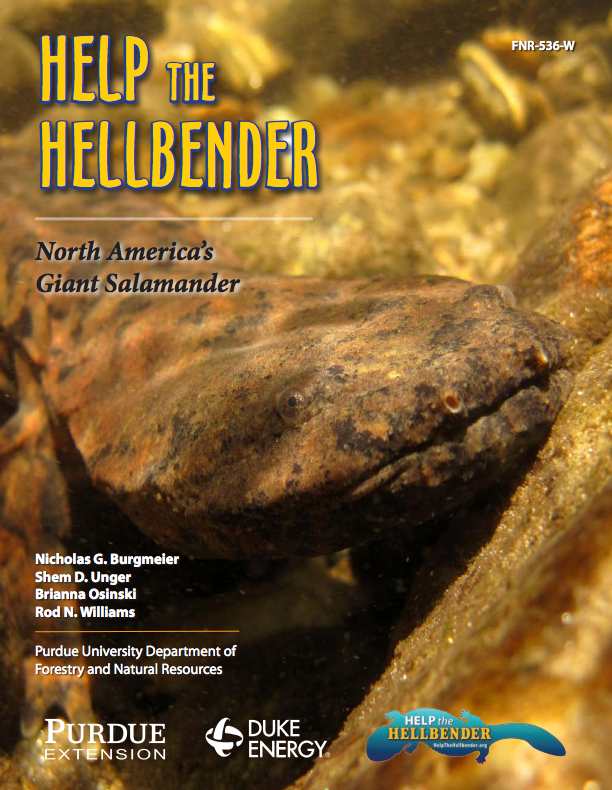 Many hellbender populations are in decline within their geographic range. This publication provides information on identifying and preserving this important aquatic animal. You can find Help the Hellbender, FNR-536-W, as well as other great resources that can be found at the-education-store.com.